San Juan is enclosed by very formidable ramparts in the Caribbean. Arecibo and San Blás de Illescas (later called Coamo) were founded. On September 15, a hurricane strikes the island. Bernardo de Balbuena became Bishop of Puerto Rico. On September 25, Holland attacks San Juan, under the leadership of Boudewijn Hendrick (Balduino Enrico), besieging El Morro and La Fortaleza, burning the city, but the Spanish repel the Dutch troops (battlemap). A month later, on October, another hurricane strikes the island. King Philip IV of Spain began fortifying the San Cristóbal Fort (the largest Spanish fort in the New World), along with six fortresses linked by a line of sandstone walls surrounding the city. The San Juan Gate was built as the entry to San Juan. In San Germán, Porta Coeli Catholic Church was finished. A hurricane strikes the island. The British attack Arecibo, with no success. On August 28, a hurricane strikes the island. On September 11-12, a hurricane strikes the island. On October 27-28, a hurricane strikes the island. Commissioned by Charles III of Spain to investigate contraband activity, Lieutenant General Alexander O'Reilly conducted a census. 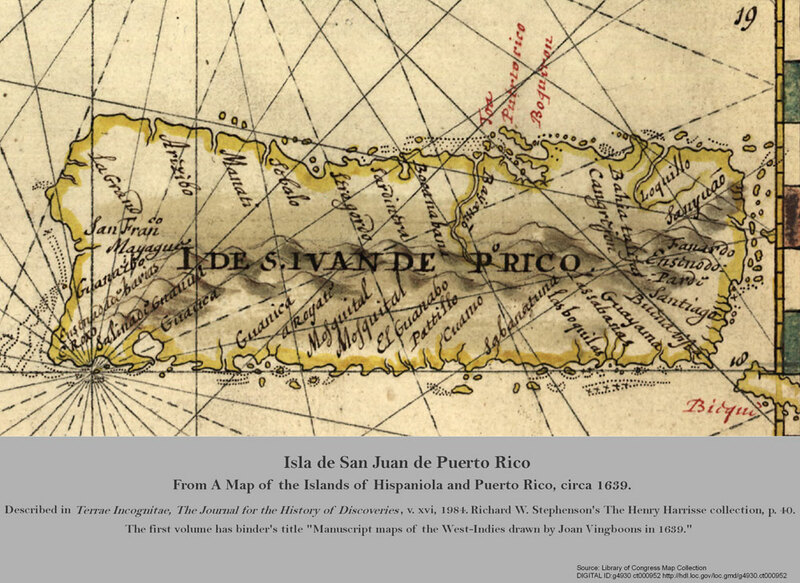 Puerto Rico's population had reached 44,883, of whom 5,037 were slaves, making an 11.2 percent, a very low ratio, considered the lowest for the Caribbean. Cockfighting began in the island. On August 28, a hurricane strikes the island, accompanied by earthquake. On June 13, a hurricane strikes the island. On August 1st, a hurricane strikes the island. On August 24-29, a hurricane strikes the island.